This article was originally posted to the Harper Adams University website. Two new scholarships, valued at £6,000 each, have been launched by Safety Revolution Ltd, a company that specialises in delivering safety management and human resources systems to farms and estates across the UK. The scholarships are described as ideal for students looking to develop a career with an innovative, market-leading consultancy in the area of rural health and safety. One of the scholarships will be presented to a student who has demonstrated compassion and a keen concern for the wellbeing of others, while the other is awarded for demonstrating sustained commitment to personal development and learning. The scholarships will be accompanied by an industry placement year with the company. 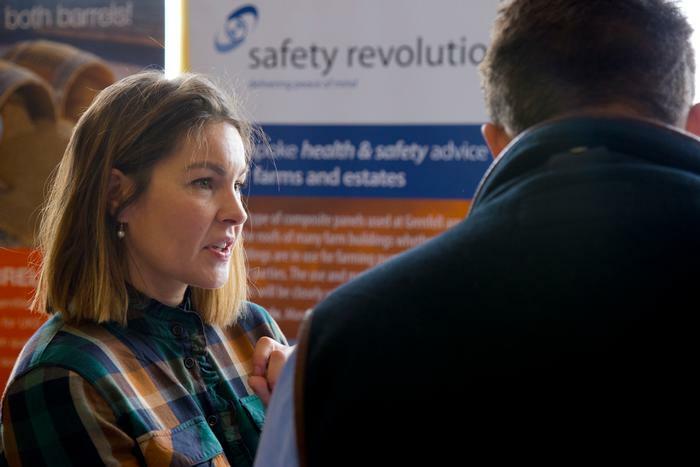 The successful recipients of the Safety Revolution Scholarships will work as part of the team, with a mixture of office time and travelling nationwide to visit clients on farms and estates, learning how Safety Revolution designs and delivers its health and safety, training and HR services. Oliver Dale, Managing Director, said: “We endeavour to deliver bespoke systems to businesses that want to further develop their safety culture and who aim to set industry leading standards of health and wellbeing amongst their teams. “Having watched Harper Adams develop over the years to become a leading provider of higher education in our specialist field of agriculture and the rural sector we believe that we share many values and goals. Development Trust Manager Doris Taylor commented: “The University is delighted that Safety Revolution is offering two exciting and very generous scholarship and placement opportunities to our students. Click here for more information on the scholarships.